And, for me, that always includes clothes. And yesterday, we re-embarked upon this tradition. Albeit a trip to Milton Keynes with my dad and daughter in tow, sandwiches consumed with a toddler having a tantrum on a bench and my hasty exit as I hurried off to view a house. Oh, to be a grown up! However, in keeping with tradition, I was much luckier than I deserved and returned with a new jacket. This gave me the bug. When I woke up this morning to the best bit of the day I picked up my phone (as I always do) and began browsing. 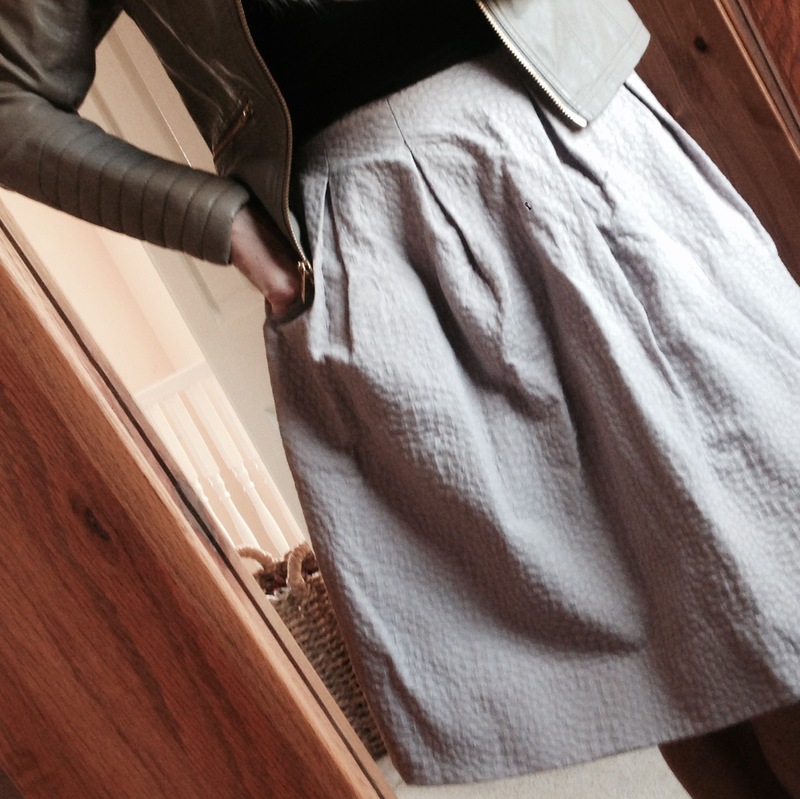 Soon I discovered I have a new favourite must have item: midi skirts. This full skirt in washed blue is simple, affordable and in a soft colour to see through those remaining summer days. The button down the front of this make it just beautiful! I have never been able to resist tartan! As I looked at skirt after skirt I saw why this length is for me; long enough for work, no flashing my pants as I play with my daughter and no doubts over age appropriateness that leave me feeling old. The I remembered I had already bought one before I left for holiday! A full skirt made of a stiff fabric in a lovely mink colour with pockets! What could be more perfect? And it even matches my new jacket! Bliss!